Is microfinance responsible for everything? "Profiteers have hijacked the microfinance".. that is what a new book written by Hugh Sinclair alleges. I am not denying that many from this industry are making profit. However, time and again, i am tempted to ask the critics of microfinance if they can answer what would happen to microfinance clients in the absence of microfinance. Why do clients take loans from microfinance? Or in the absence of microfinance, will banks reach out to these low income clients? Recently, CMF conducted a study in which 928 urban and semi-urban MFI clients were interviewed in five states of India. 49 % of clients reported that improving old business was one of the reasons for them to borrow from MFIs. We explored the usage of loans in relation to household engagement in enterprise. 84% of those clients with at least one form of enterprise (N=622) reported that they used the MFI loan for business purposes. Among the clients with no enterprise, 34% took MFI loans for household consumption, 25% for repaying old debt, 17% for education, and 16% for health. Critics are aware that clients with entrepreneurial activity has high propensity to invest MFI loans in their enterprise. Why can’t these clients go to banks- critics might argue..! Our study found that 62% of the interviewed client households had at least one bank account. Despite the prevalence of formal banking amongst the clients, only 11% had EVER taken loans from banks. Primary reasons for not taking loans from banks given by bank account holders included a lack of need of type of credit that banks provide (30%), complicated application procedures (25%), and a lack of awareness about credit availability from banks(11%). While these findings are insightful regarding the lack of formal micro-credit availability to households by banks in the sample areas, this finding more importantly underscores the dependence of these households on micro-credit availability from the MFI sector. Reasons such as complicated procedures and lack of awareness should not hinder the inclusion of these groups into the formal banking system. Till that happens, I wonder if we can actually say microfinance is doing no good to the poor…or microfinance is responsible for everything…Just a thought! Thanks for your post. I think it makes sense to ask what low and middle income households would do without access to affordable credit. However, I find it difficult to say that the service that MFIs provide is beneficial when numerous rigorous studies have shown no impact on basic development outcomes. Is affordable credit really important for households or are there substitute products and services that would help them more? For example, I think microinsurance could do a lot to help the poor protect themselves against health/life desk risks and hedge against calamitous outcomes (but this needs to be studied as well). 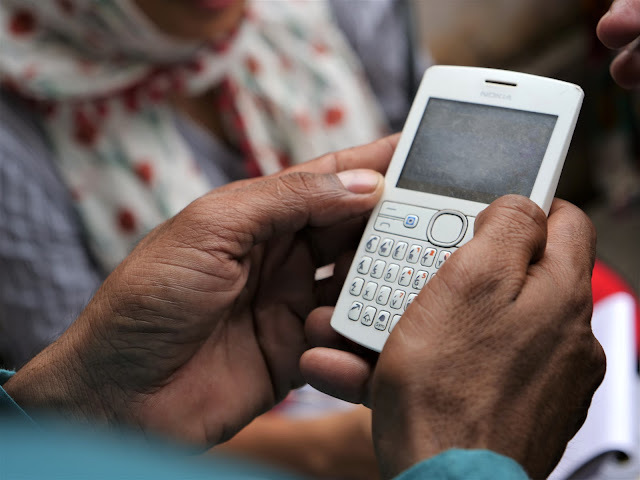 The model that has been adopted in India focuses largely on microcredit. As you rightly state, the problem may not be with microfinance institutions so much as government policymakers who have been slow to enact reforms that would allow for meaningful banking access and the provision of comprehensive financial services. I think a lot has to do with the fact that merely microcredit cannot provide a holistic solution for these clients. I think India's MFI model is very restrictive; it would be useful to see if MFI's could provide broader range of services - such as insurance (as Shardul pointed out), or some other ways of leveling out the income shocks. Most of the MFI CEO's, managers will tell you straight up that their clients need help in form of credit, but also some degree of hand-holding to alleviate pressure due to health episodes, job loss etc. And I agree with you Deepti...banks may not be a viable solution, especially when access to banks is highly questionable. What would cigarette smokers do in the absence of tobacco producers? This is another impossible-to-answer question. The point is: if someone uses something it doesn't mean they benefit from it. It may mean they need it for reasons that are worth removing and might make the ostensible solution part of the problem (microfinance; reason = poverty) or reasons that are not sensible (tobacco; reason = addiction). 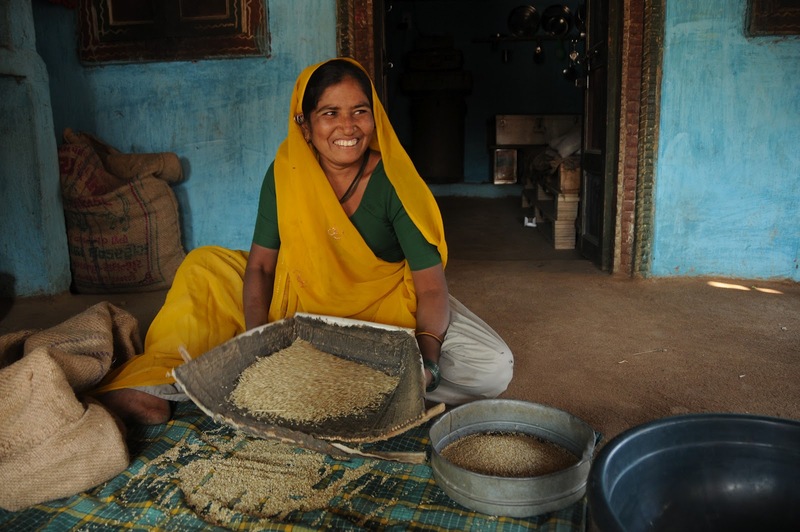 Millions of microfinance clients are not evidence of microfinance helping millions. Logic must be checked. By the way, Hugh Sinclair's book does not allege that all microfinance is harmful, just that most microfinance is harmful. This point is made very clearly. I would urge everyone commenting on his book to actually read it. The feature of online access to your account is excellent in that you would be able to keep track of all transactions as well as get information on products and services for which you might be eligible. I agree with Huge Sinclair in different wordings. “ The greedy Profiteers have selectively hijacked the ‘micro credit’ from ‘micro finance’ and paralyzed the industry. Just for further thoughts a few queries useful to research on financial services for the poor. 1. Is Micro credit responsible for everything in Microfinance package which includes micro insurance also among others for the poor? Or can we treat the term ‘micro credit’ synonymously with micro finance for poverty cure? 2. Do mere ‘means of loan access’ – Micro finance or Bank finance really matter and determine the success of entrepreneurial activity from client’s perspectives? I neither suggest that all microfinance is bad, nor that it has all been hijacked, nor to I propose its eradication. What I propose is client-focussed microfinance in a sensibly regulated environment (in both "developed" and "developing" countries) with explicit and effective client protection principles, just as many in the richer countries take for granted. The evidence of any widespread impact on poverty reduction is lacking. Anecdotal evidence is common, but do you notice national lottery companies boasting about how many people did NOT win? Anyone doubting this should read Maren Duvendack's work. However, average impact disguises the fact that some microfinance is effective, while some is harmful. As in the current debate over the impact on child labour and school education, some microfinance reduces child labour and boosts school attendance - great. But some microfinance has the opposite effect. We need to put the poor back in the centre of the equation and understand how and why microfinance can help, and boost that, while identifying the causes and characteristics of "bad" microfinance and limiting it. But, for as long as profit-motivated private equity funds and banks obsessed with return on equity rather than impact on poverty prevail, the sector is structurally flawed and unlikely to achieve such results. The self-regulator (ironically called “Smart”) is owned by one of the most criticized vulture funds on Earth - Accion, of Compatamos fame (hugely profitable IPO, interest rates reaching 195% etc). Is improvement likely until we address these deeper issues? The more relevant question is whether the billions of dollars currently invested in microfinance would have had a greater impact on the poor if we had instead invested in mosquito nets, education, schooling, the women’s rights movement, vaccinations etc. This is also an impossible question to answer concretely, particularly because those investing are lured in part by the profits possible in microfinance, and vaccinating children is not “profitable” in such terms. First of all, thank you so much Hugh for taking time to visit and read the blog entry. When we wrote this entry, there was a lot of attention from the media on microfinance. Most media publications were raising a lot of questions at microfinance and perhaps keeping in mind the aspect of customer protection, which is the right thing to do. However, the negative publicity thrown on MFIs does take a toll on them as they begin to find difficulty in finding further funding from conventional sources like banking - more so keeping in mind the AP crisis in India. Yes, the shift from profit-orientation to customer-orientation is happening albeit slowly. I totally agree with you on where investments need to take place and I believe steps will be taken to move towards that direction. Investment is crucial for all, expenses are increasing at more speed than the resources available, you have put the wheel on solution track.